Those that say that some people are born leaders and some are not are mistaken. Leadership is a skill that can be learned. 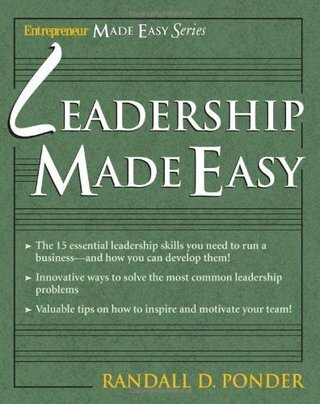 Randall Ponder identifies essential leadership skills and teaches you how to develop and use them. He also explores the challenges that leaders face and offers simple solutions. The Leader’s Guide: 15 Essential Skills goes beyond the basics to explore the fifteen areas that all great leaders must understand and implement. Randall Ponder takes you beyond management and shows you step-by-step how to master the fundamentals needed to initiate and sustain healthy relationships with your team members, colleagues, and customers.